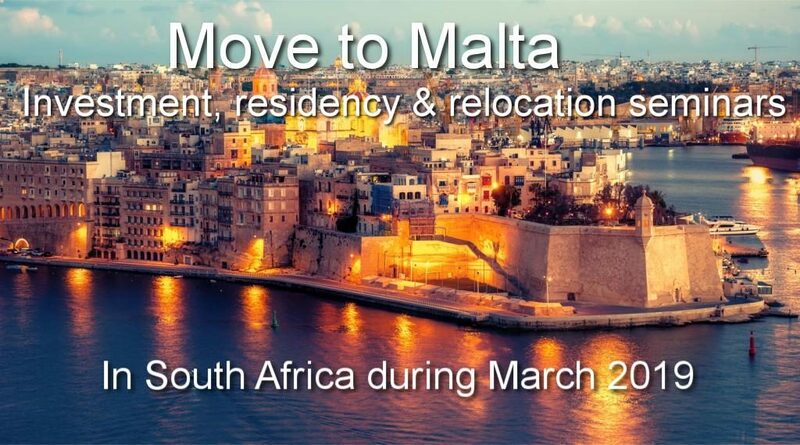 Highly informative seminars hosted by Frank Salt Real Estate, Malta’s leading estate agents, who will provide key information to help you make the best of your move or investment in Malta or Gozo. An exceptional lifestyle and a vibrant economy make Malta, the Mediterranean EU Member State, a favourite destination for anyone planning to move or invest outside his own country. The seminars are in the form of a 45-minute presentation, followed by one-to-one sessions with our key speakers and their support team, as well as our partner agents on the ground in South Africa, to enable you to ask any specific questions related to property investment, taxation or residency. The individual sessions are highly recommended as they enable you to gather exact information in relation to your individual requirements. The 20 minute one-to-one sessions are allocated on a first-come-first-served basis. Refreshments will be served. There is no charge for the seminar. relocate, invest or buy property.